Home » Uncategorized » What Does A Horsefield Tortoise Need? There are many families all throughout the world and in our society today who long for the companionship that is found within a pet. Dogs and cats are great companions, however you also have to get toys, treats, dogaloo collars, car seat covers (if your pooch gets as dirty as mine), flea shampoo, etc. Many of these families, however, find that a tortoise, such as the Horsefield, is a fantastic first pet to introduce into the home for a variety of reasons. With their ease of care, calm demeanor, and other great traits, it is of course no doubt that these pet loving families find the Horsefield tortoise to be a good start into the world of pet care. In this article, we will discuss all of the different aspects that go into the care and other maintenance aspects of owning our own Horsefield tortoise, and why they just might be the perfect pet for you and your family. When it comes to the housing aspect of owning your own Horsefield tortoise, there are several components that need to be in consideration besides just the type of home that you place them in. This can include topics such as lighting, temperature, border, space, protection, elevation, and their overall habitat as well. Let’s begin by first discussing the types of housing that you can choose for your Horsefield tortoise. When it comes to housing space for a Horsefield tortoise, you can choose from both indoor and outdoor housing, and even the ever popular tortoise table, which is basically a wooden enclosure that ensures safety as the tortoise can’t climb up the walls. There are several different sources who often recommend placing your tortoise in a vivarium, which can be summed up as a boxed area with no circulating air. We have to disagree with these individuals. Tortoises thrive in environments that are colder, with no humidity and no dampness to them. It is also beat to make sure that your tortoise has enough space for moving around and getting some exercise as well. As we said before, the Horsefield tortoise thrives in colder temperatures that are not humid — in other words, they are very arid climate animals. It is also crucial to make sure you have lighting of some sort pointed toward or in the habitat you have created for your pet. This can be through a desk lamp light or anything else you have, and is used to create a heat energy and also an area for the tortoise to bask in also. It bishops to have some type of a border surrounding the walls of your new tortoise enclosure for a variety of different reasons, the most important of which being so they stay inside of their habitat when you don’t want them out. Turtles have a tendency to climb and move to new places, and if they are willing, they will find a way out. Having a border surrounding the walls will ensure the safety of your pet. As we stayed before as well, it is so important to make sure that when you are creating your tortoise’s indoor or outdoor living space, that you are also making sure hey have enough room to maneuver and exercise within. The ability for them to move in their space allows them to get their legs moving and keeps them healthier as well. Horsefield tortoises, much like other turtles, like to be able to burry themselves either patiently or fully under the ground for protection. With that said, it is good to make sure that you have a substrate level that is flexible enough to give your tortoise this capability to protect itself from low temperatures as well as during hibernation periods while living in their new habitat you have created. When creating you habitat for your tortoise, it is best to make sure that you have at least one layer of substrate down on the ground. Tortoises like the Horsefield tortoise need a substrate that does not absorb quite as much moisture as other substrates do since they are more arid climate type creatures. It is always a good idea to have some type of elevation change for your tortoise to enjoy in heir new habitat. It can allow them to really move and live as they would in the wild, plus it gives them the vantage of a basking spot that is out of the way from the colder temperatures of their substrate level and water dish as well. It is very important to make sure you have a water dish located at some position in your habitat for your tortoise. However, when placing it, make sure to push it down into the later if substrate so that your pet doesn’t knock it over at any point, and so that if your tortoise were to stand in it, they would still be able to breathe just as fine. This also ties into the idea of having a substrate level that will allow them to make a burrow for themselves for the times when they hibernate or just want to get out of the way of the cooler temperatures for a time being. It can also be a great idea to add a small bit of plant and shrubbery into your pet’s new habitat to make it feel more like their surroundings in the wild, but don’t go too overboard. Your tortoise will find a way to destroy some of the “landscaping” that you put in their home, but it will give them more of a space to move their legs and get the sense that they are in their natural home. This topic falls similarly into same category as that of lighting. With the help of a lamp of some sort, you can create a basking spot for your tortoise to have in order to gain some heat source into its body for energy. Typically, this best to have it elevated somewhat, such as on a rock above the substrate level that you have created. Now those are the necessities above but of course you have to have fun with your tortoise set up and housing as well. There are tons of cool pet products to add in your pets housing to make it a awesome housing experience for you and your tortoise! Now that your have found and created a comfortable and safe space for your Horsefield tortoise to reside in, it is time to focus on the next crucial aspect when it comes to taking care of a pet — food and diet. Making sure hat your tortoise is taking in the correct food and diet on a daily basis is an important part of the responsibility of a pet in general, and we are about to give you the run down of what is good and not so good for them to take in. When it comes to Horsefield tortoises, it is important to remember that they are strictly herbivores, meaning they only eat leafy produce. The best food and diet for your new family pet to follow is thag of leafy greens and vegetables to keep them healthy and happy. Because the Horsefield tortoise is strictly a herbivore, it is best to never give your tortoise any type of meat, no matter how tempting it may be to some. Giving your tortoise the type of food that they are not used to could potentially destroy their health, and cost you more trips to the vet more often. 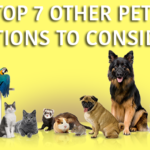 It may not seem like it at the time you first decide to take in a pet, especially a turtle or other aquatic animal, it may not seem so necessary to bring them into the vet for regular checkups as it would be with other types of animals. That is where you would be wrong. The Horsefield tortoise needs to have health checkups just like any other animal to make sure they are healthy and happy while in your home. 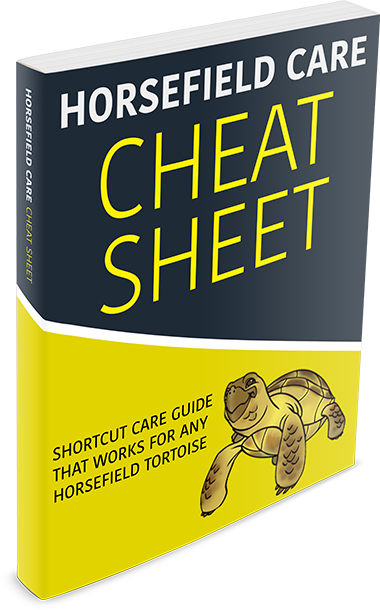 Here, we have included a few guidelines of what it might entail bringing your horsefield tortoise to the vet. Just like when buying any pet, this always in your best interest to take them to a veterinarian in order to make sure everything is in tip top shape. When looking for a vet to try, always make sure they have some type of speciality in exotic animals so that they have the thpenofnironic nf to know how to take care of your new pet. Most turtles do not need vaccines, but rather just a checkup tk make sure they stand in good health. If you believe that your pet may be experiencing some type of health issue or something along the lines of them feeling under the weather, you can find an exotic vet to take care of your pet while at the same time ensuring you that your Horsefield tortoise is in good hands. This topic may seem like one that is often kept in the back of the mind and is not as worried about as it should be. If you think that is the case, you would be absolutely right. 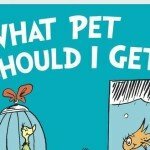 To some, having the proper research done before buying or even considering buying a pet is a key detail, and in reality, it should be that way for everyone. 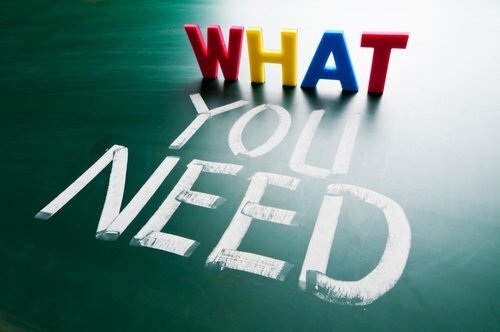 Always go into the idea of buying a pet with the same mentality as that of anything else you would buy for your home; You wouldn’t want to come home with a broken down car that you paid top dollar for, right? In the case of buying your Horsefield tortoise correctly, we have a couple hints and tricks to consider when doing your initial research. When looking for a Horsefield tortoise to purchase for you and your family, it is important to look for a turtle that is alert and has clear eyes. These are both signs of a healthy turtle, ans one that will live for a long time. You will also want to make sure that the tortoise you are looking at is quite active in terms of moving around within their enclosure. Tortoises that are very quiet and slow moving can show signs of illness and may cost you more at the vet after you purchase them. This may seem like a no brainier for most individuals, but it is so crucial to make sure that you are doing all of the research possible before buying your tortoise from anywhere, local or not. Of course, thhe Internet is full of scans, so it is in your best case to buy locally or in person. The majority of pet stores have Horsefield tortoises in stock, and are quite healthy and happy pets as well. When it comes to buying and exuding to care for any type of pet, including a Horsefield tortoise, it is always so important to remember that you are taking on a huge responsibility, and this is not something that you can just let sit in the house for enjoyment. Pets, even tortoises, need the same love and care as any other responsibility you have, and t will help them to live a long and happy life win you and your family. If you are considering taking on a Horsefield tortoise in your home, make sure you know all the facts and research, and that you have everything you could possibly need to care for this animal. With the proper care, your tortoise will be living a comfortable and relaxing life, and you will learn a whole new meaning of responsibility within your family home as well.